Landlords in Ontario are up in arms after having massive losses in income due to the scam tenants. These crooked tenants are in fact using the law to get away with months of rent-free living by going to the court to delay eviction for months on end. The landlords are now turning to the same law to protect them from such tenants with tougher enforcement measures. It is obvious that a tenant who scams landlords perennially would accrue a criminal record and a bad financial history, so how could the landlord possibly miss out on this in their background checks? A scam tenant is undoubtedly a cunning fellow and may start by putting out an ad depicting a desperate family, probably with young children, in dire need of a home. They could further claim to be the victims of a bad landlord, thus causing the unknowing landlord to ignore looking up the tenant’s history with previous landlords. This is all in a bid to solicit pity from the new landlord. The tenant goes on to lie about their job and hence the landlord is unable to reach the non-existent employer. This, coupled with a phoney reference from a co-conspirator who is also a part in the scam, leaves the landlord to be played right into their hands and allow them to move in. It all goes well until the tenant’s check for the first month’s rent bounces, unveiling the well-orchestrated scam. When the landlord finally gets an order to evict the tenant, the tenant immediately launches another appeal and this back-and-forth could drag on for up to four months. In the end, the tenant gets away without paying a single cent in rent, all this within the confines of the flawed system. The landlord then suffers massive losses in rent, legal bills and clean-up costs which could amount to as much as $10,000. Unfortunately, the scales seem to be in favour of the tenant in court despite a profound history of evictions. In some cases, the client only needs a signed affidavit for claiming the unfair treatment and the court grants them additional stay as per their request. However, the landlord can avoid this whole conundrum by simply doing a proper screening of the prospective tenants and checking out their past rental references. The provincial administration has also attempted to streamline the process of terminating tenancy where the landlord can seek an order of possession through an expedited direct request process. This allows a decision and orders to be made on written submissions only, without the occurrence of a hearing taking place which could scale down the whole process to an average of 12 days. This current legislation could expedite the whole eviction process, but a tenant’s appeal could still delay the process. Without any documentation, a court could simply take a tenant’s word of mouth to grant them additional stay. In cities where affordable rental housing is scarce, this scam appears to have poisoned the whole rental business and thus the honest tenants are also suffering. The landlords’ increased fear of scammers before renting out has escalated to paranoia and this has affected the supply of housing to the available renters. This is, however, justified to some extent because one to two percent of the tenant population is scammers who may manage as much as 6 months of rent-free living. Politicians do not want to stir the water, as it appears so far. They certainly do not want to come out as ‘anti-tenant’ by tackling the issue and thus the situation has escalated to almost unmanageable levels. In their defence, the government claims that the rights of the landlords and the tenants should ideally be balanced. The government, however, still maintains that a tenant is entitled to a hearing before the eviction and the landlords are permitted to conduct background and credit checks on the prospective tenants to decide whether a tenant is fit for tenancy. The system is flawed and thus has resulted in a crisis in the rental business. 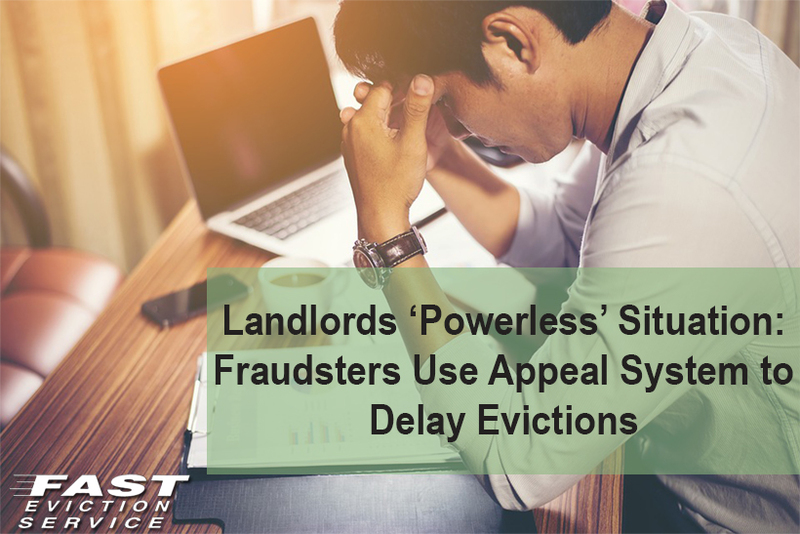 The tenant’s right to appeal appears to infringe on the landlord’s rights and what is more saddening is that a lot of honest tenants could miss out on homes because of the scammers.